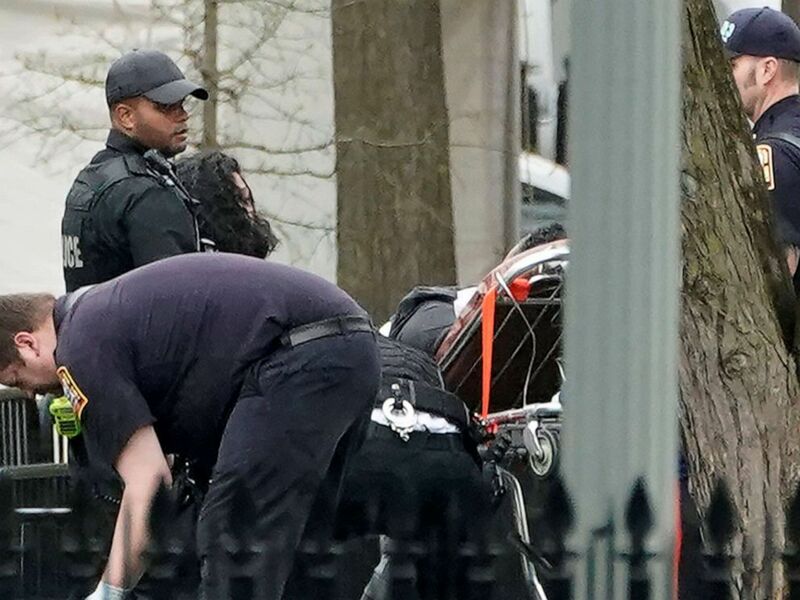 Police and rescue personnel remove a man on a stretcher from Lafayette Park after the man lit his jacket on fire in front of the White House in Washington, April 12, 2019. 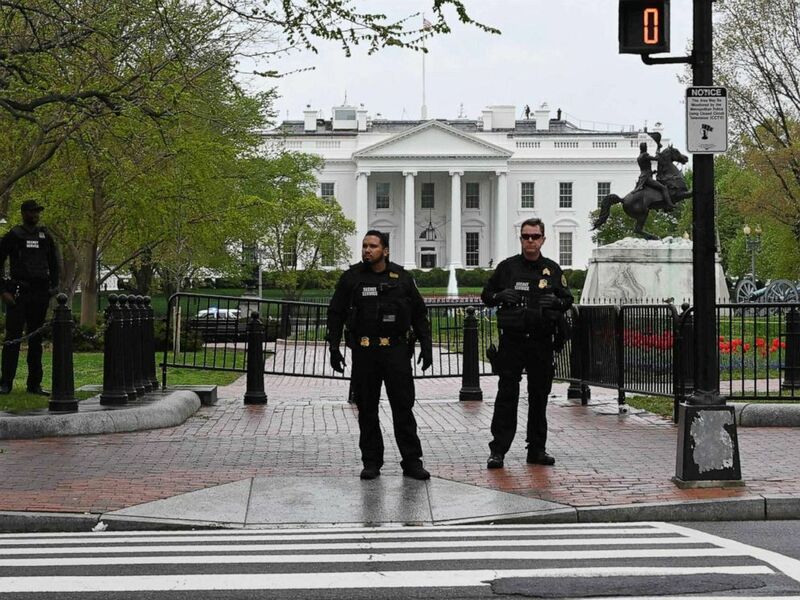 Police secure the perimeter of the White House after a man reportedly tried to set himself on fire outside the presidential mansion on April 12, 2019 in Washington. 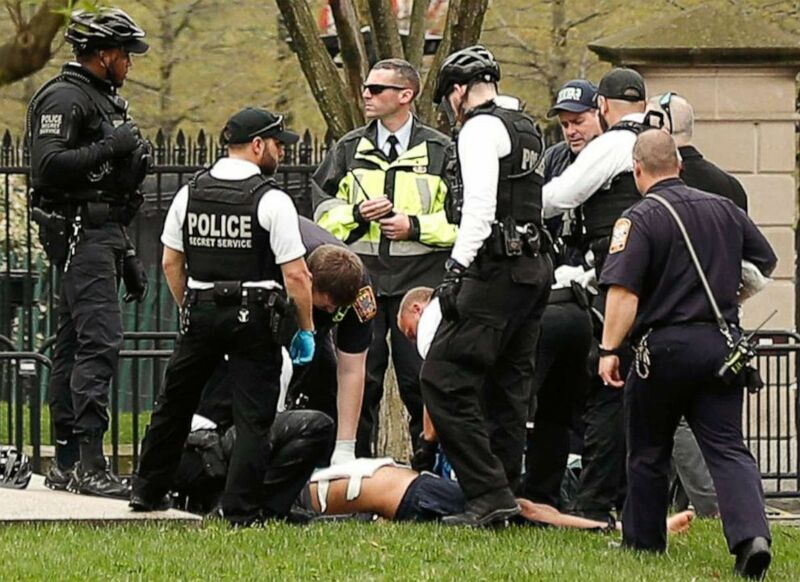 ABC News' Luke Barr contributed to this report.